Classic actually has some history with the Brumbies – they supplied the Brumbies kits during the 1996 and 1997 seasons – the first two years of the franchise’s existence. 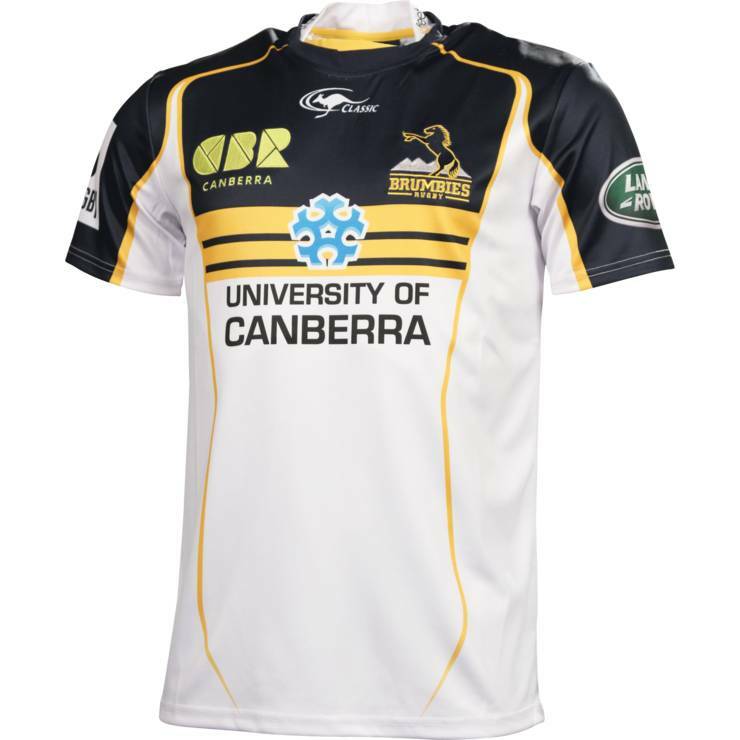 It’s fitting then, that what we have here is a very traditional Brumbies shirt design. All the hallmarks – the three gold bars on the chest, the dark blue top half and the white bottom half – are present and correct. The alternate shirt is, at the same time, quite the departure and not much of one at all. 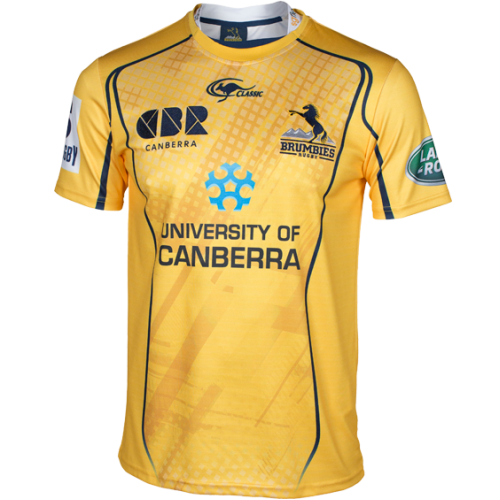 Traditionally, Brumbies alternate shirts have been mirror images of the home shirt, with a blue bottom half and white top half, but not so this year. 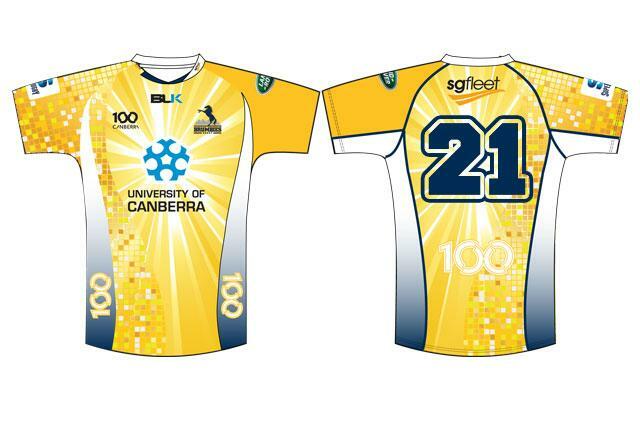 Classic have opted to emphasise the tertiary gold colour on the away jersey, in a move that closely apes the Brumbies’ Canberra Centenary jersey worn last year. Honestly, we tend to dislike jerseys with cringeworthily ‘modern’ sublimated patterns – there are only so many shirts with weird dots, squares or diagonal lines that we can stomach before we lose it, and this one manages to include ALL THREE. That aside though, it’s not a terrible shirt, though let’s face it, they’re basically passing off a Wallaby jersey here, which is a little bit unnecessary in our minds. Super Rugby is struggling to attract attention in Australia, we know, but dressing your team up to look like the national side is a bit on the nose for our liking. That said, both of these shirts are fairly inoffensive, though compared with the likes of Canterbury, Adidas and BLK, we think Classic has a way to go before they’re putting out shirts that are as visually appealing for rugby union fans.